The summer heat in our country is nothing short of extreme and has both a positive and negative affect on native species. It’s not uncommon to have temperatures in the mid 40’s before a cool change that sweeps through with intense thunder storms! 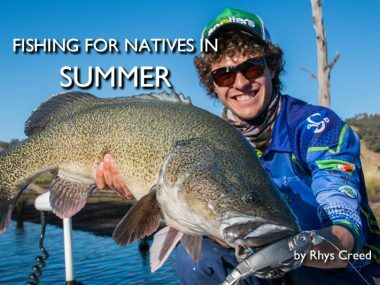 These temperatures and aggressive storms in summer can lead to some brilliant fishing opportunities. 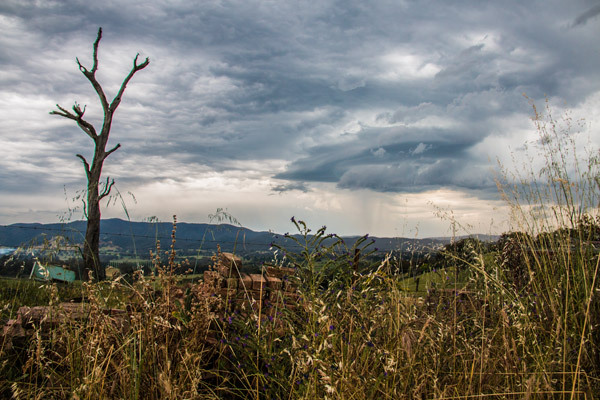 These summer storms are fierce but they also bring with them a rapid change in barometric pressure. 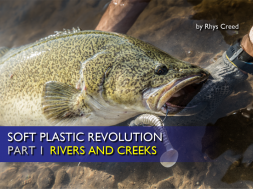 This change can switch native fish into a feeding frenzy like none other. Make sure the storm isn’t too dangerous and intense (large amount of lightning and extreme winds). Make sure you are fishing close to your car so you can safely leave before the storm hits. Try to avoid being on large open waters in small boats. Constantly check the radar on your phone. This will tell you how large and intense the storm will be. Leave just before the storm hits. You don’t want to be fishing into the storm as it is dangerous and this is the end of the ‘feeding window’ or ‘bite time’. The fish will usually feed aggressively up to an hour before the storm as this is when the barometer will begin to drop. As soon at the storm hits it usually plateaus and the fish follow suit. 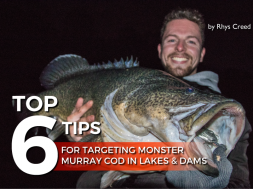 Summer storms can yield some of the best fishing conditions, especially when it comes to surface fishing for Murray Cod BUT just remember to be safe and have an escape plan. 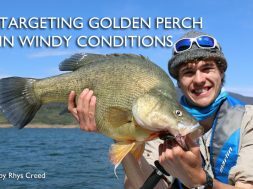 Fishing conditions change throughout the year and this brings with it peak fishing times and also slow periods. 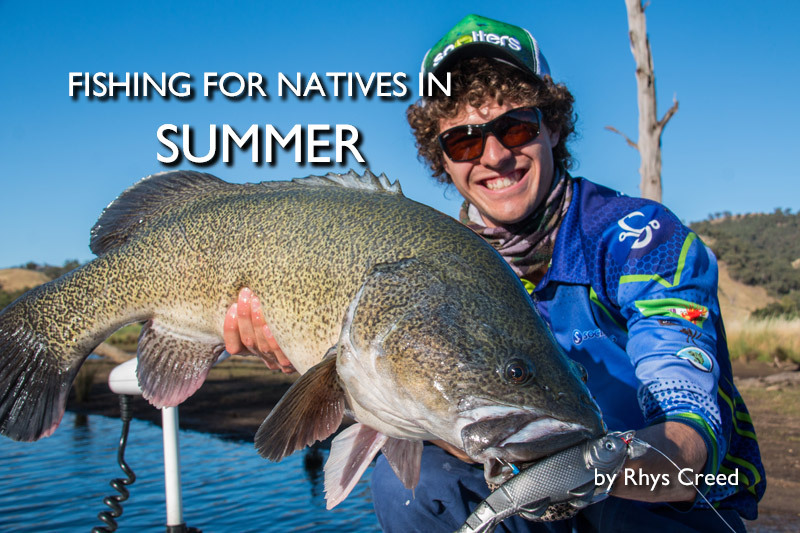 Autumn and spring are by far the best seasons for fishing in the freshwater. This is due to the stable mid temperatures which the fish much prefer over the other extremes. Winter would have to be seen as the slowest month but in saying that when we receive temperatures above 35 degrees for consecutive days the fishing becomes extremely tough. Even more so on native species that inhabit small and shallow creeks and rivers. 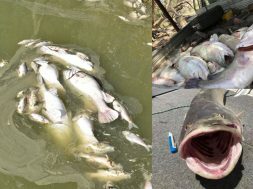 The water temperature will spike and if it pushes the 26-28 degree mark the fish will slow right down during daylight hours to conserve energy. 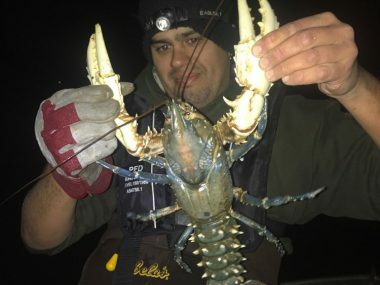 To make up for this they will do most of their travelling and feeding during the night and this is why surface fishing in the dark is so successful! Not only do the fish feel more confident in the dark it also becomes their peak feeding time on these super-hot summer days. This also goes for subsurface fishing in lakes and dams like trolling large hard bodies and also casting. 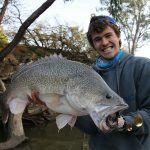 On the other end of the spectrum we usually catch more fish in winter during daylight hours, especially in the afternoon. As this is the point in which the water temperature is warmer and therefore more comfortable for the fish. 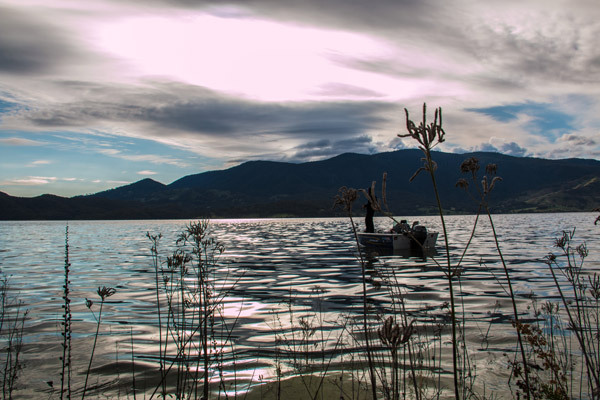 As we spoke about, fishing in the dark is usually the most productive – but morning is another bite window which is also worth fishing during summer. Why? 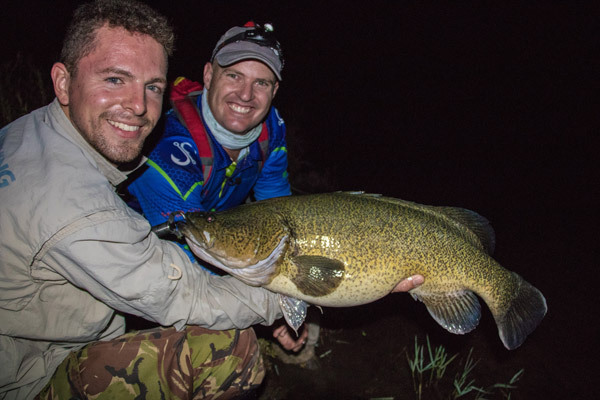 Because it is the time of day in which the water temperature is at its coolest and native fish will also take advantage of the low light conditions. The first hour of light is one of the best times to fish in summer especially on the days that aren’t extremely hot (between 30-35 degrees). The reason being is those extremely hot days are when the fish will feed mostly during the night, because even the first rays of light heat the water quickly. Fishing the period from very first light till when the direct sun hits the water is by far my favourite time of the day. 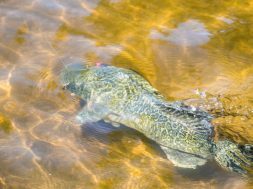 As this isn’t just for summer, it’s an all year round rule – Murray Cod love feeding in the low morning light. 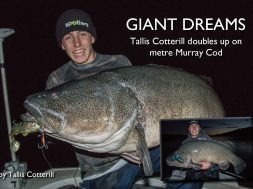 Targeting monster Murray Cod in the large impoundments can be both successful and difficult in summer. The fish can swing either way from day to day switching on and off easily to different conditions. One thing that is against us during summer is the falling water levels. Majority of the time these large water storages will drop in height as they release water for irrigation etc. This means the fish have to retreat to deeper ground and this switches them off the bite. They become uncomfortable and 90% of the time we can see a fall in fish activity. If we are lucky as we were in late 2016 many of the lakes were full and still filling due to the huge spring rains. This meant the dam sat at a steady level for a few weeks and the fishing was brilliant. 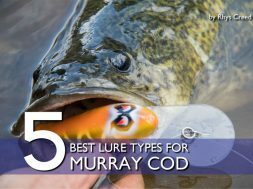 Even with the falling water levels the fish will still bite and one of the best tactics is to either troll or cast lures into the deeper water. At the start of December before the surface temperature reaches 25 degrees some fish will be sitting in the shallows feeding, patrolling fresh ground and gorging on Redfin and Carp. 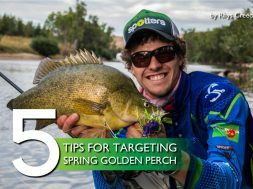 Once the water temperature rises above 25-26 degrees it’s usually best to fish deeper in the 5-8m mark. The cod and especially large cod will sit at these depths because the water temperature is more comfortable than it would be in 4m of water. 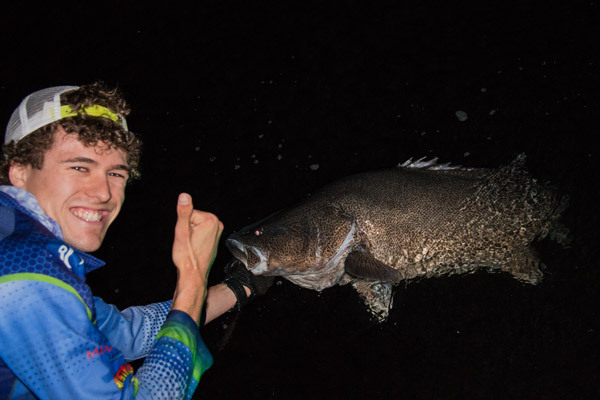 Trolling and casting large lures in the dark is the go to technique. You want to concentrate on the 5-8m mark and target all the likely looking cod structures. First light is also another good fishing period followed by very last light. During the middle of the day we barley even fish because the sun is just too harsh and the fish are usually very slow. 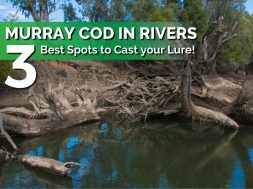 Every season you have to adapt the way in which you fish but no matter what time of year it is there is always a hungry Murray Cod lurking for a feed. 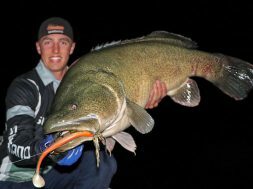 Summer is a great time of year to be on the water but just remember fishing in the dark is the go to method! Especially when it comes to surface fishing!